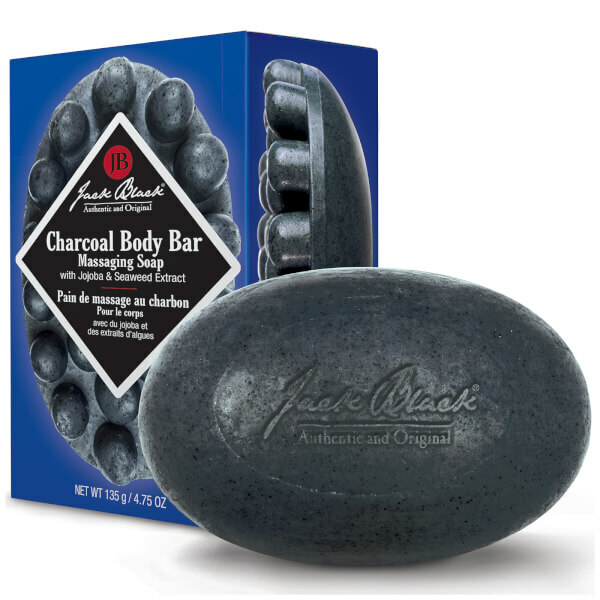 Cleanse and exfoliate from top to toe with the Charcoal Body Bar from Jack Black. 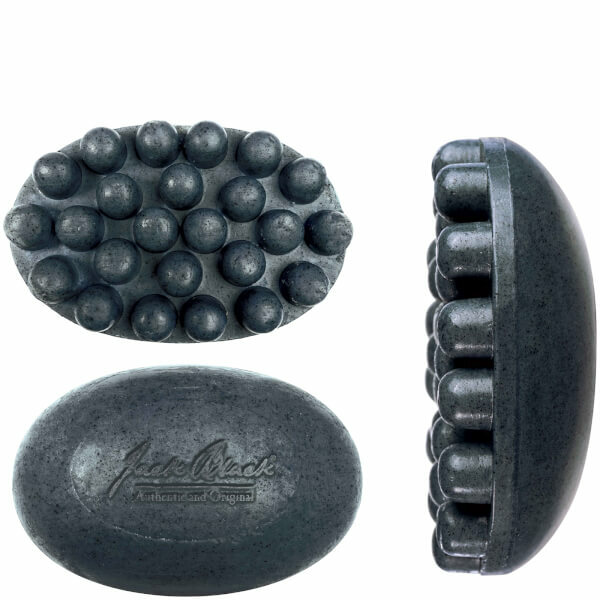 Powered by Charcoal and Jojoba Beads, the cleansing bar effectively draws out dirt and impurities, whilst a dose of Glycerin helps to maintain the skin's moisture balance. Features unique nodules that create a massaging sensation to relieve tension and relax aching muscles. Skin feels smooth, soft and fresh after use. 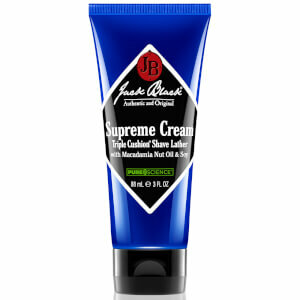 Apply to wet skin with light pressure, lather and rinse clean. Avoid the eye area. Sodium Palmate, Sodium Cocoate, Aqua (Water), Glycerin, Fragrance, Jojoba Esters, Saccharomyces Ferment, Carbon, Hypnea Musciformis Extract, Gelidiella Acerosa Extract, Sargassum Filipendula Extract, Sodium Chloride, Sodium Gluconate, Sorbitol, Iron Oxides (CI 77499), Pentasodium Pentetate, Tetrasodium Etidronate, Phenoxyethanol, Ethylhexylglycerin.